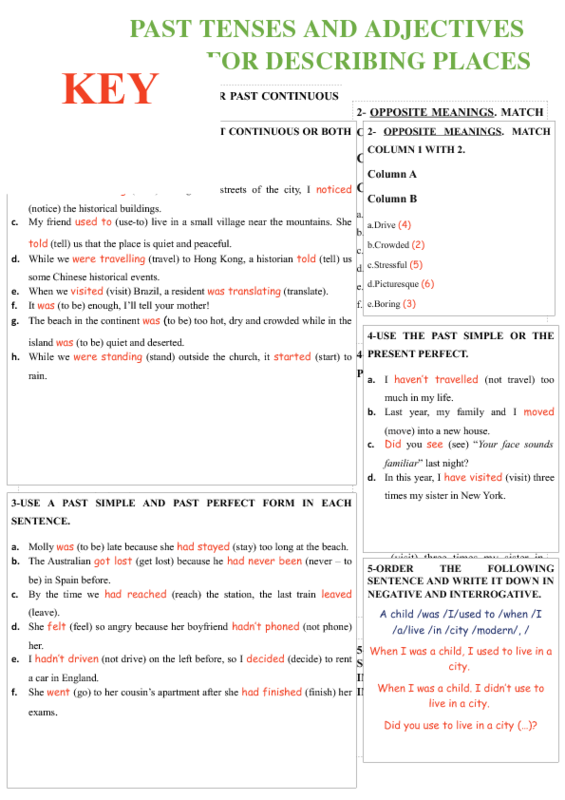 In this worksheet, you can find several exercises on past tenses and also, you can find vocabulary - adjectives for describing places. 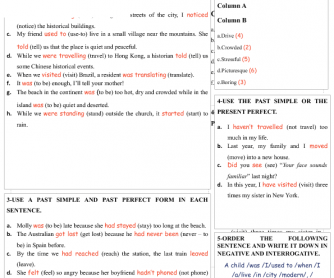 The past tenses are: past simple, past continuous and past simple vs. present perfect. I hope you enjoy this worksheet! Thanks.